Your kid has writing difficulties? His letters are not clear? 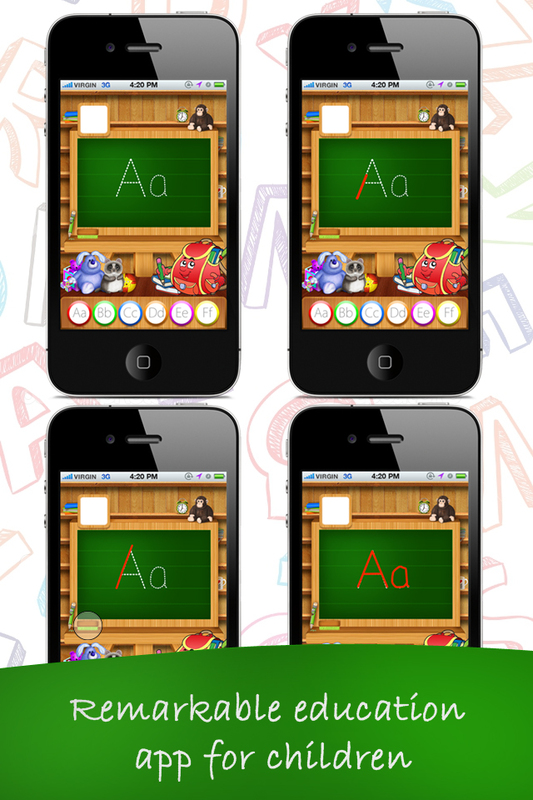 Have him learn and practice how to write correctly the english alphabet letters using this state of the art app that teaches kids the right way of writing. In-App purchase option available to remove ads and to unlock all letters. Designed exclusively for iPhone, iPad and iPod Touch.